Beauty applications can be a big gain for a few of us who want some guidance on how to get things done right. Given that beauty accessories are a billion dollar industry today, it makes sense to get the best advice out there. Not to forget hair styling, which is something that both men and women pay keen attention to? Don’t you think it would be nice to have an app help you out with all this? Well, you no longer have to worry about these aspects as we have decided to compile a review for an app, Hair Salon Woonsocket. What is Hair Salon Woonsocket? 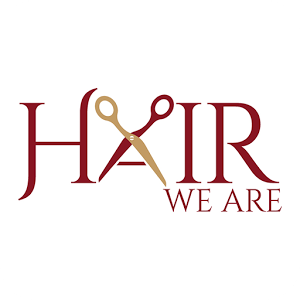 Hair Salon Woonsocket is an app developed to provide ease to the people of Woonsocket (one of the most beautiful cities in Providence County, Rhode Island, United States) to avail the saloon services and book appointments with Hair Salon Woonsocket with the service of your smartphones. the Hair Salon Woonsocket is the best saloon offering the services ranging from full head foil to French braids to facial waxing and much more… the best thing about this salon is that you pay a quite reasonable money for each service you avail from them. Now if we talk about the app, it is brilliantly designed by “Ryan K. Bilodeau” and everything is arranged so well. To use this app the first thing you would be doing is to create your account using your existing social media accounts. Now after creating an account, you can check for their services to book an appointment for the one you need. The app also gives you an access to call the salon within the app and you can even the directions for salon location. Moreover, you can also share about their services on social media by using social media integration present at the bottom of the app main screen. Presently this app is available free for Android platform devices and you can get this for your devices from the direct download link given at the end of this review article.